Everybody knows: durability requires caring for natural sources. Less widespread is the awareness of durability referring to the long-term effects of our rearing practice on the nature and development of each child and hence on his abilities as a grown up civilian. The main pedagogical question here is: do we choose durability in balance or disruption? During the opening of our outdoor bso, now 4 years ago, Dikkedeur has planted her own tree in the Kralingse bos. We maintain the lovely botanical garden of our day-care at the Kralingse plas and teach the children what care and love for nature embodies. 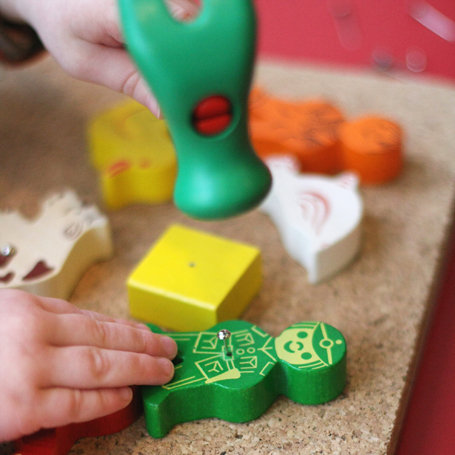 We buy durable toys with an ecologically responsible production process. Moreover, we are well aware of the effects of pedagogical practices during childhood on the development to adulthood and take that responsibility seriously, as becomes apparent from our mission.